Enjoy the quiet, shaded campsites. 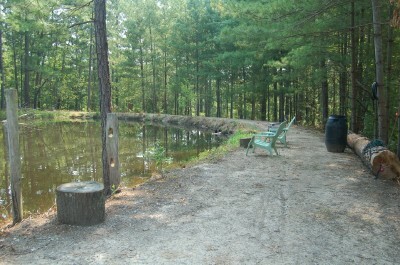 Our campground has 20 sites. 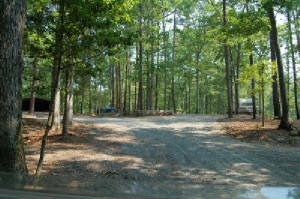 We are a small, privately owned RV campground for campers and RVs. We are located in Moncure in Chatham County in central North Carolina. We offer nicely shaded, semi-private spaces with full hook-ups for RV camping. The RV campground is within a short drive to New Hill, Cary, Raleigh, Apex, Sanford, Durham and Chapel Hill. 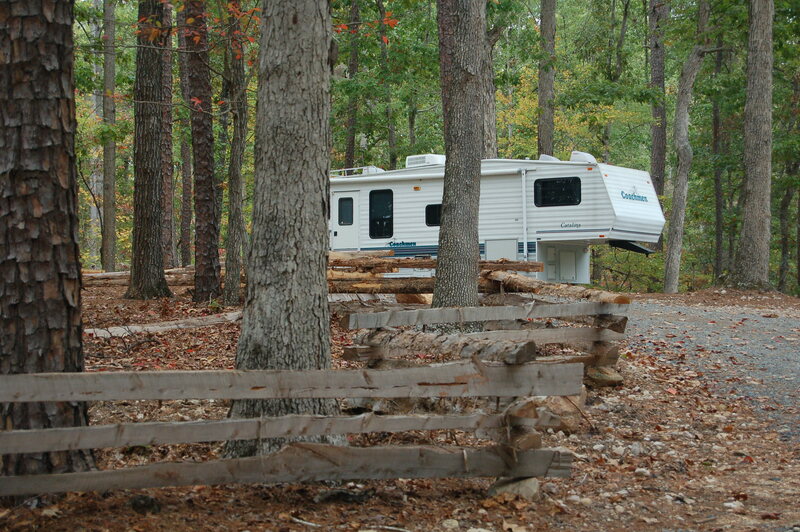 Our RV Campground is affordable and comfortable with a very friendly atmosphere. Our RV campground has 20 sites available. We offer water, electricity, and sewer included in the rental fee. Our RV camping sites are within 1/2 mile of four boat ramps to access Jordan Lake, a 14,000 acre lake and recreational area. The property is one mile from two convenience stores and the local post office. Most pets are welcome (subject to approval) but we expect you to be responsible pet owners. Please call 919.868.0973 between 8:00am-8:00pm(EST). Call us now to make a reservation. Leave a message on our machine or call the cell phone number listed. We'll get back with you as soon as we can. Our campsites are semi-private and mostly shaded. Enjoy the peace and quiet after a long day at work feeding our fish.